Rfi. bibliografico:Quick, J. E., Sinigoi, S., Snoke, A. W., Kalakay, T. J., Mayer, A. & Peressini, G. (2003). Geologic map of the Southern Ivrea^Verbano Zone, Northwestern Italy. 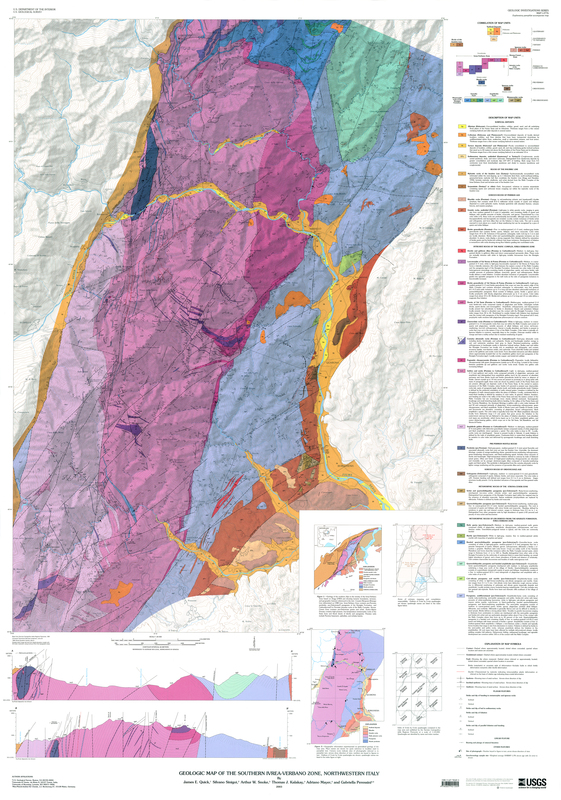 US Geological Survey I-Map 2776.